This course is for professionals, who aspire to a step-change in their practice, creating opportunities for self and others, facilitating wisdom and development in organisations, groups and communities. 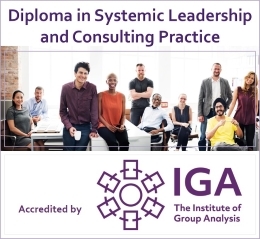 The Diploma in Systemic Leadership and Consulting Practice is accredited by the Institute of Group Analysis, London. The one-year course comprises four modules and is organised into eight workshop blocks, two days each, a total of 16 days face-to-face training, self managed learning and experiential assignments. These modules will invite understanding and skills of systemic leadership and consulting practice, systemic coaching, working with complexity, and organisational development. 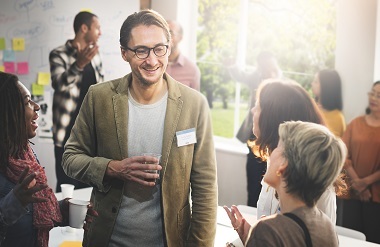 The Diploma in Systemic Leadership and Consulting Practice foregrounds how people in organisations contribute, through their interaction, consciously and unconsciously, to the organisational system. It includes approaches, methods and techniques facilitating insight, agency and choice through giving attention to patterns of communication, relationship and culture, enabling an impact on strategies, processes, roles and tasks. Skills and methods taught on this course are of relevance to the development of relationships between individuals, teams or departments; for organisational learning; the development of strategies, plans and processes; the informing of roles and tasks; the production of goods and services, and so forth. This systemic frame opens up novel and generative ways of working as a systemic leader, consultant and coach. Systemic approaches to work with organisations originate from the field of Systemic Family Therapy, Group Analysis and from dialogic organisational development, stimulating innovative, effective and sustainable responses to organisational dilemmas and development tasks. The course invites you into a comprehensive, practice related learning journey at the edge of modernist and post modern discourses of organisational practice. 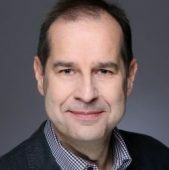 Our systemic approach to leadership and consulting is based on a compelling framework that integrates dialogic skills and sensibilities with proven conventional approaches and established organisational practices. 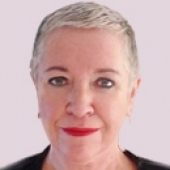 Y ou emerge as a systemic leader and consultant through your engagement with theory, seminal presentations, reflections on your practice, skills development and work related exercises. A variety of learning modalities include lecturing, tutoring, reflexive learning in relation to own practice and assignments, self managed studies and reading, contribution to reading seminars, small and large group work. 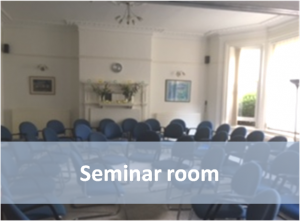 As part of the training you also have the opportunity to receive consultations in relation to your professional task and role in the context of your organisation’s values and objectives. Your learning is supported by a number of reflexive assignments requiring you to relate learning to your professional practice. In addition you are encouraged to shape your learning journey to meet your development needs and to contribute to your organisation. This course is an inclusive practitioner led, co-created learning experience. Participants also enrich each other’s learning, by sharing their development and practice in their particular field. There is no requirement of prior knowledge or training of systemic practice. However, with the learning process being tightly knit to your work practice and the contribution the course invites in the context of your organisation, we require participants to have a practice context to participate fully in the learning. To be clear, this practice context does not have to be a formal leadership or consulting role. The minimum number of participants will be eight, the maximum will be sixteen. The training comprises four modules which build on each other. 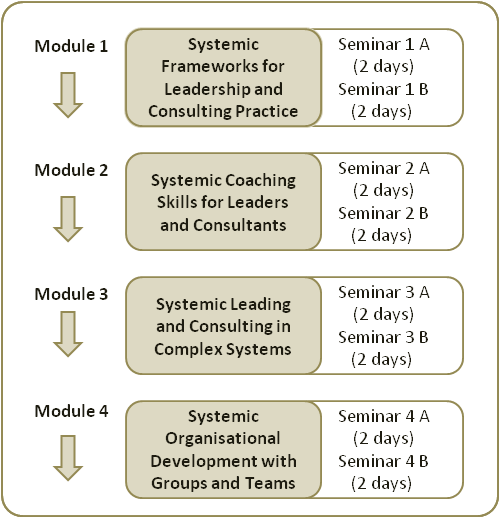 These modules will invite understanding and skills of systemic leadership and consulting practice, systemic coaching, working with complexity, and organisational development. Each module is covered in two seminars of two days, a total of 16 days face-to-face training. In addition each module requires self managed learning and work on an assignment. Assignments are not assessed. Preparation for seminal learning will require you to read papers and to contribute to the presentation of practices and ideas on the topic. Every module includes an assignment that facilitates reflexive practice learning and invites the relevance of your training for your organisation. There is a minimum attendance required for achieving the Diploma. The total of eight seminars of two days each are scheduled in approximately four week intervals. This first module will introduce you to the systemic approach to leadership and consulting. This approach, inclusive of other approaches, widens our ways of making sense of a situation and working with it, using systemic and group analytic practical theories, frameworks and exercises to facilitiate leadership and consulting abilities. develop reflexive insight into your practice as leader and consultant. use systemic inquiry to facilitate development, participation and agency in systems. This module will increase your agency as a leader or consultant. It will facilitate your insight into the coherence and incoherence of organisational contexts and processes. You will expand your skills for reflexive practice and reflexive learning. The second module gives you the instruments to facilitate change, development and competence in others. These skills are valuable in formal coaching relationships and projects as internal or external coach, but are also invaluable in everyday leadership and consulting practice. skillfully work with a range of coaching approaches including appreciative, reflexive, group analytic and solution focused coaching. This module will develop your capacity to deliver organisational goals and change through coaching work with individuals and teams. It will also grow your ability as leader or consultant to develop capabilities in others – coachees, members of your team, peers – in a respectful, validating and inclusive way. In this third module you will develop ways to engage constructively with complex organisational challenges and opportunities. These will include problematic organisational and group dynamics, ethical decision making, use of power, the social unconscious and relational ethics. This module includes frameworks and practices that facilitate sense making and generative response to such complexities. create opportunities for coordinated forward movement and organisational development. This module will develop your ability to seize organisational opportunities, to make generative use of self and organisational dynamics, and to make contributions to organisational effectiveness and development. It will equip you to provide leadership and consulting in response to complex challenges. This final module offers systemic frameworks and skills to facilitate organisational learning and development processes. It will equip you to identify opportunities for organisational development (OD) and to effectively and ethically frame OD interventions. 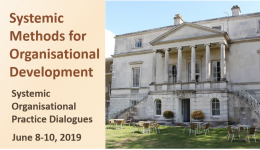 You will develop understanding and skills in advanced dialogical OD methods, such as Appreciative Inquiry, Reflexive Inquiry, Open Space Technology, World Café, Future Search in order to design and facilitate organisational change processes. You will also develop understanding into small and large group processes from a group analytic perspective. 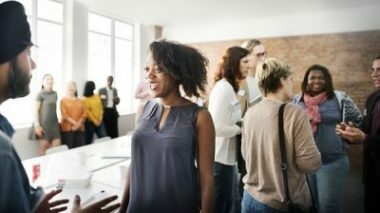 This module will develop your ability to contribute from various positions to organisational change and development work with the organisation as a whole, with teams, inter team or inter organisation. The module will also equip you to offer effective process leadership and consulting even in areas where you hold little content knowledge. The venue has a bike rack to the side of the building. This training is designed for a learning group that forms at the beginning and continues through all modules of the training. It is therefore not possible to book single modules. Please be mindful that there is a maximum of sixteen places on this programme. These prices do not include VAT. Terms of cancellation are set out on the online registration form. We have a limited possibility to provide the course VAT exempt (without VAT) which we offer for self paying individuals and charities that are not registered for VAT. 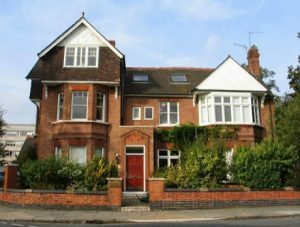 Organisational buyers like businesses, local government and governmental organisations, universities and the NHS, registered for VAT, will be billed the full course cost plus VAT. In case the course start has to be cancelled or deferred for any reasons participants will be reimbursed whatever they have paid. Continue here to register for The Diploma in Systemic Leadership and Consulting Practice.